Home » Blog » Let’s Do This! Cleaning up your lawn. Now, that spring is about spring, it’s time to clean off your yard so your lawn grass can emerge without anything getting in its way. In this article, you’ll learn why you need to clean off your yard, so your lawn grass can thrive this spring. 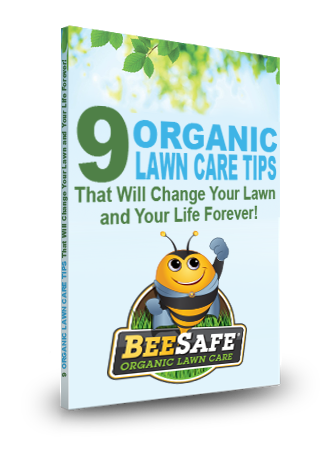 Plus, you’ll learn some handy landscaping tips to make your property look refreshed and tidy. Your lawn grass can’t grow when it’s buried beneath layers of leaves. Also, your lawn care company will be looking forward to getting started. Rake out leftover leaves: Even if you did a meticulous job in the fall by cleaning up or mulching your leaves, it’s inevitable that there will be some leaves covering your yard. Make sure you either use a mulching mower or rake them up, so your emerging lawn grass doesn’t suffocate. Rake out dead grass and weeds: It’s also a good time to rake your lawn. Dead grass and weeds have developed over the late fall and winter months. And a good raking is the same as giving your hair a good brushing. Remove all trash from your yard: Unfortunately, one of your neighbors left their dog go to the bathroom in your yard. Or a driver threw his water bottle and McDonald’s trash out of his window every time he drove by your house. So, there will be the unpleasant job of picking up other people’s trash and dog feces. Remove all twigs, pine cones and other debris that Mother Nature left behind from this winter: Of course, Mother Nature sometimes leaves a mess in her wake too. So, plan on picking up pine cones, fallen branches and other natural debris from your yard. Cleanup underneath your bird feeders: You love watching the winter birds flock to your feeders. But unfortunately, our feathered friends are sloppy eaters. So, once the snow is melted, rake up excess bird seed and dig out the weeds that sprouted under your feeders this winter. If you have a compost bin or recycle your leaves, plan on placing dead grass, twigs, leftover leaves and other natural debris in your composting container. However, don’t put any dog or cat feces in your compost bin. Dogs and cats carry parasites in their feces that will only make you and your loved ones sick. Chicken, horse and rabbit manure are considered garden gold and will help break down your dry material into usable compost. You dread having to do these yard chores, but once you’re outside breathing in the fresh air, you end up enjoying the work? Clean out flower beds: Leaves, twigs, dead annuals and mulch all need to be raked out and thrown away. Rake out mulch from under your trees and shrubs: You should only have at most four inches of mulch under your trees and shrubs. Rake out last fall’s mulch and apply fresh mulch to give your spring yard a touch of freshness. Prune trees and shrubs of excess growth: Early spring is the perfect time to trim your trees and bushes. Cut out excess growth, such as sprouts that pop out of the ground of some ornamental trees. Also, cut back branches that look dead or are diseased. Pull weeds: Whether from birdseed or the winter wind, weeds always seem to find themselves where they don’t belong. Pull out late winter weeds to give your beds room for annuals and perennials. Separate perennials: If you didn’t have time to divide your perennials last fall, early spring is the perfect time to do it. Make sure you replant the excess in another part of your garden. Early spring often brings rain … so you don’t have to worry about irrigating your transplanted perennials either. Plant early spring annuals: Add some happiness to your flower beds and porch containers by planting pansies, violas and other early spring flowers. Get your lawn and landscapes ready for the 2018 growing season by cleaning up your property. Once you’re finished, you’ll feel like it’s time to sit on your porch with a glass of iced tea! After you’re done relaxing on the porch, call us to apply pre-emergent weed control to your lawn. We use liquid corn gluten that forms a natural barrier in the soil to keep grassy weeds from developing. Call Lawnmark Plus today at 603-262-1215 or fill out our contact form. At Lawnmark, we serve the following cities in New Hampshire and Massachusetts: Amherst, Bedford, Brookline, Hollis, Manchester, Merrimack, Milford, Mont Vernon, Nashua, New Boston, and Wilton. Beaulieu, David, “Spring Cleaning for Lawns & Landscapes,” The Spruce: Updated October 23, 2017.